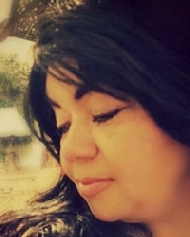 With profound sadness we announce the passing of Raquel Herrera Hausman, our loving and devoted wife, mother, and friend to all whose lives she touched, on January 29, 2019. She left us while battling an assortment of ailments and heart failure at the Mainland Medical Center. She was 53 years old. Raquel has born in Matamoros, Tamaulipas, Mexico, to parents, Froylan Herrera Laredo and Rachael Mendez Cadena. Her mother, whom she loved and admired dearly, instilled in her the teachings of Jesus Christ, taught her to love others, and to pray in the good and bad times. She was a wonderful mother, homemaker, passionate gardener and an aspiring teacher. Raquel was married to a loving husband Austin W Hausman, and was the beloved mother of Paulo, Ivan (Aracely), and Rachel, and a proud grandmother of Abigail and Ivan Joel. Raquel loved to cook, kept an immaculate house, was highly skilled at sewing. Most of all she loved her family and instilled in her sons and daughter strong Christian values that have served them well. She will be dearly missed and be forever in our hearts. A celebration of Raquel’s life will be held at Carnes Funeral Home, 3100 Gulf Fwy, Texas City, Texas, on Monday, February 4, 2019, beginning at 11 am. Visitation will take place on Sunday from 5-8 pm.